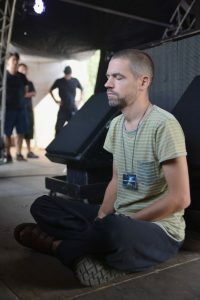 We met with Marcus Henriksson last summer at DokuFest festival on a hot day, and the sweltering heat combined with the heavy, humid air was unbearable. We found an indoor place nearby, considering that being outside was not quite ideal. Henriksson, sitting on a wooden chair, was calmly drinking iced water out of a big beer mug to quench his thirst with. Ready to share his experience with us, he began explaining the beginnings of his musical journey, in addition to various discussions about technology, society, and human existence. Even though he didn’t enjoy the rave gathering at the beginning, but after a while, slowly letting go of his shyness and introverted character, Marcus began to point out a mysticism he was experiencing while being there, dancing on his own. “You were not dancing with anyone, you were dancing by yourself which was also new because where I come from in Sweden, you usually went to the discotheque where you dance with your partners or friends, the traditional way, so this was a new thing,” he says. As a consequence of pushing himself to dance and have a good time despite being exhausted at this party where there weren’t even places to sit, Henriksson discovered something about the rave culture. 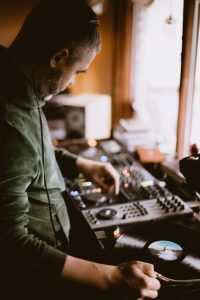 Listening to the hypnotic repetitive electronic sounds, he came to a realisation which led him to make a life-changing decision, to be part of the electronic music scene. 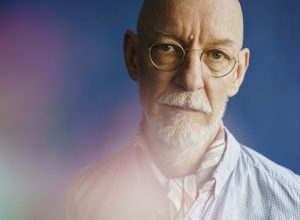 Before discovering techno, or before discovering his passion for it, Henriksson would experiment with his older brother’s Commodore 64 computer and Amiga 500 software and its tracking program, Trackerpro, and at the same time collect records. His first collection was comprised of a record series called Max Mix made by two Italian guys who inspired him to create his first mixtape. He was only ten years old at the time. So, back to the warehouse, Marcus being 18, the party is over, he went back home and the week after, purchased his first techno vinyl records. This is how it all began, “this is how I started my DJ career you could say.” Afterwards, he and a group of friends would form Toxomniac, making their mixtapes and also organising numerous rave events indoors and outdoors around Sweden and Denmark. Music eventually became Henkriksson’s life; no drugs, no alcohol, simply the entertaining and fulfilling joy of dance and playing music under his alias DJ Metro. Partaking in these events was the beginning of many others. 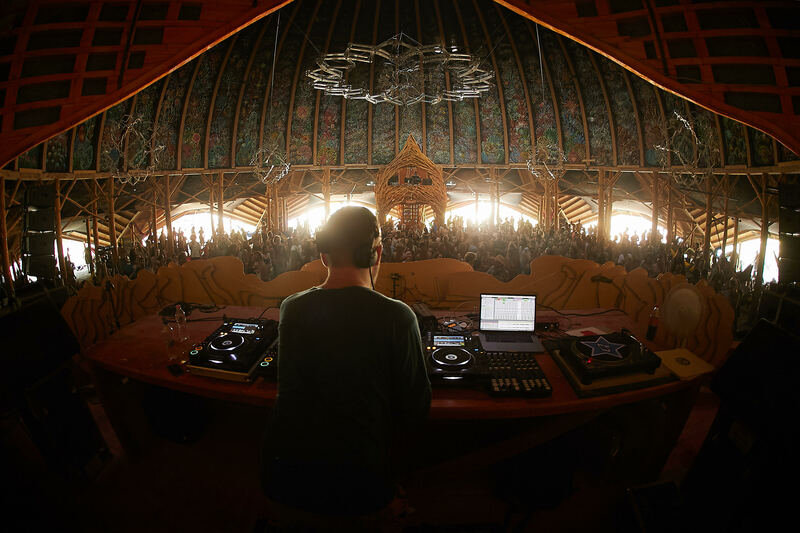 The odds worked in his favour and in 1997, five years later, Marcus met Sebastian Mullaert and Christian Steiner in a rave party inside an old monastery, a meeting that resulted in the creation of many successful musical projects. “Maybe we should make a track that I can play in my DJ sets in the raves,” Marcus told them, and everything changed from that particular moment. Sebastian and Marcus released their first track together. Both dedicated and excited to make music, their collaboration and friendship lasted for many years, both of them making music together, performing, participating in various events, creating their notorious project Son Kite with which they released numerous musical projects, counting albums, EPs, singles, and alliances with other artists. 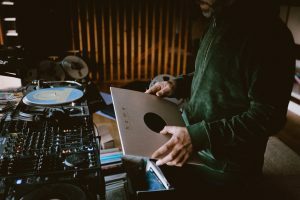 “I like the world of rave,” Marcus implied, trying to explain how he did not associate with dividing music into styles and genres, but more with the idea of enjoying the music through dance and exploring one’s self. 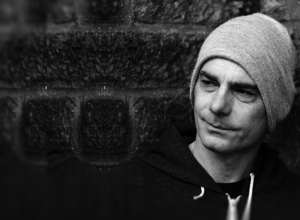 However, the emergence of the club culture during the mid-90s made Marcus and Sebastian create another project together, the one we now know as Minilogue. 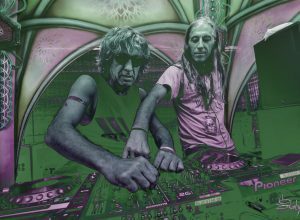 Dedicated to the techno club scene, their sound was characterised by slower tempos but still incorporated glimpses of the Son Kite trance sound. As Minilogue they released their first album on Cocoon Recordings in 2008, titled Animals. Son Kite and Minilogue continued as projects until 2013, and after 17 years of friendship and collaboration, they both agreed it is time to go on their own as solo projects. When we asked Marcus to describe his development as an artist and transition towards his current style, his explanation made us realise the intensity of his passion towards music and how much effort needs to be put in to maintain a career for this long, as he has done for almost three decades. 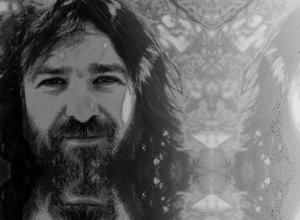 What kept Marcus continue was the idea of perceiving and experiencing music as an expression of the dance ritual that humans have been doing for thousands of years, a means to escape social structures and roles while embracing the purity within us. These concepts are some of what inspires Marcus to do what he does. How music transformed Marcus is the embodiment of an individual finding his/her path, or otherwise a way to achieve one’s goals through concepts of self-discovery and self-expression while following their true passion. “Expressing myself of who I am and what I feel and my inner visions through the music is what I wish to do,” he says. Marcus exercises practices of traditional eastern culture and esoteric traditions such as meditation, yoga, qigong, shamanism and hermeticism, with an experience of working as a meditation and yoga teacher some years ago. He utilises these tools in order to achieve a higher state of consciousness that elevates him to come into contact with his creative process which comes through in his artistic expressions. For Marcus, attending various music festivals and events is not only related to having a good time, but also as a way of discovering yourself or something about you. He does imply that he attends these events out of joy; however, they can be very helpful for people to see and learn more about themselves in relationship to the external world, to see what is preventing them to follow a passion, or get in touch with their inner selves. 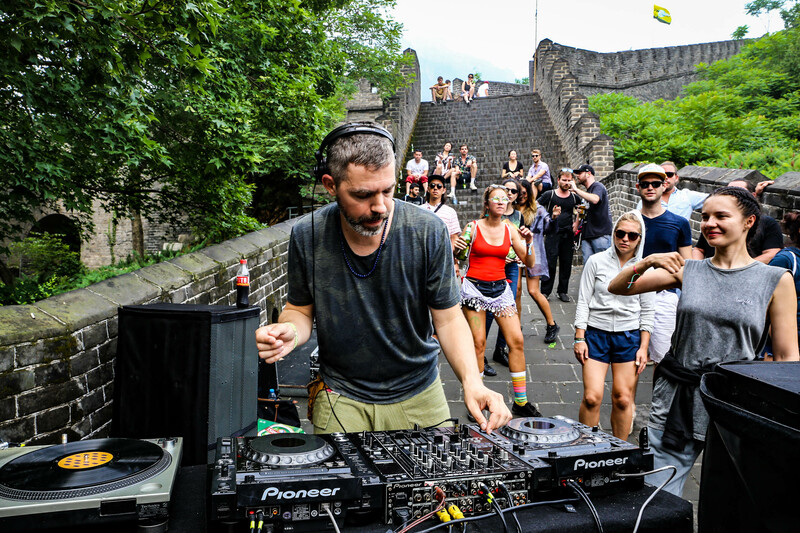 Marcus sensed that in the past few years, the club culture and underground culture have begun to merge in a way that breaks the barriers between genres, allowing people to experience music in a very conscious way. However, there are certain obstacles standing in the way of purity in the music itself. The motivations of money and capitalistic thinking are contaminating the essence of the sound. “What once was the dance ritual and rave has become an industry,” Marcus adds.